Beware ! 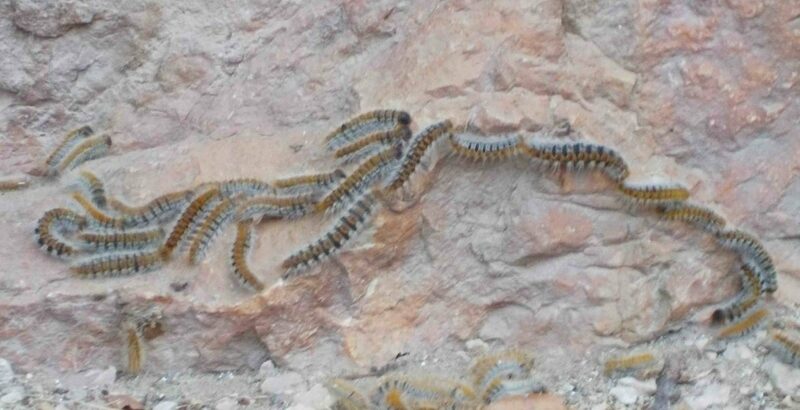 If you are planning a climbing trip in Gorges de la Jonte and du Tarn, France, we have been informed of an invasion of processionary caterpillars in the Gorges. They are provoking severe itching and sometimes even burn marks on the skin when in contact. The more sensitive can even have irritation when their hairs are release in the air. 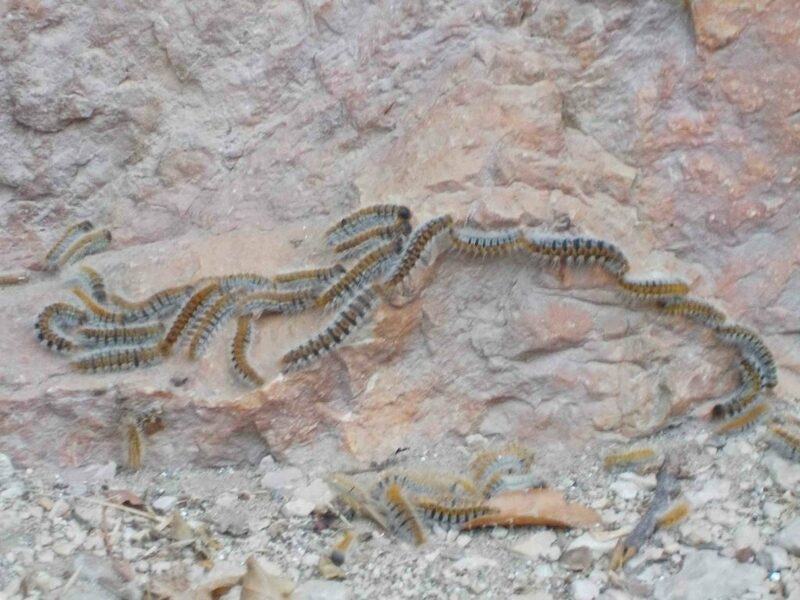 They can fall on the cliff from the pine trees, in your bags or clothes, so always check ! Childrens and dogs are particularly vulnerable. So be careful !